The navigation receiver assembly receives a vehicle speed signal from the combination meter assembly and information from the navigation antenna assembly, and then adjusts the vehicle position. 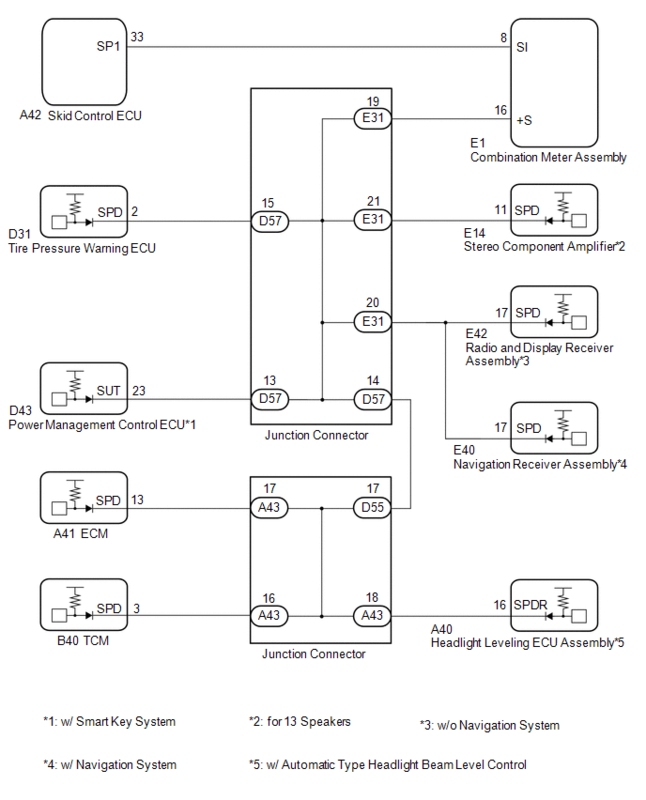 The navigation receiver assembly stores this DTC when the difference between the speed information that the navigation antenna assembly and the SPD pulse received from the combination meter assembly becomes large. (b) While driving the vehicle, compare the value of "Speed" to the reading on the speedometer. Check if these readings are almost equal. 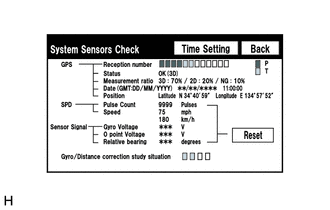 Vehicle speed displayed on the "System Sensors Check" screen is almost the same as the actual vehicle speed measured using the Techstream (See page ). 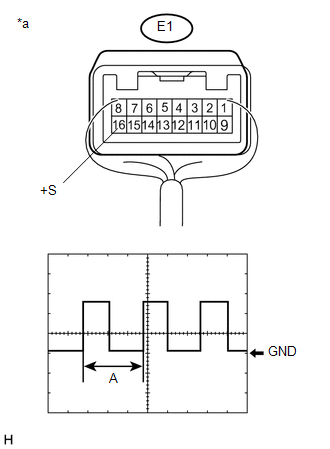 (1) Remove the navigation receiver assembly with the connector(s) still connected. 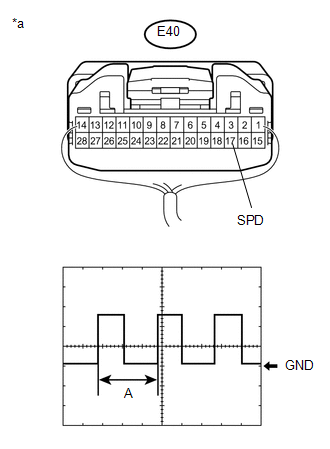 (2) Connect an oscilloscope to terminal E40-17 (SPD) and body ground.